Knowing what to expect when talking to investors for the first time, and how to raise money for a startup company can feel a bit mind-boggling. Luckily, in this article, we’ll be guiding you through the main startup fundraising materials you’ll need to be fully prepared for your investment round. With these in place, you’ll feel much more confident when getting out there and presenting your idea to investors. 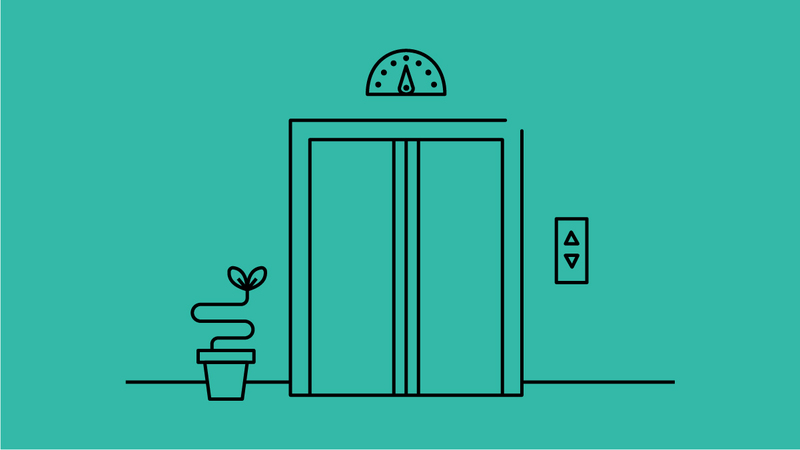 Your elevator pitch should be a quick and concise way of explaining your business idea to anyone, anywhere. Your elevator pitch should be your starting point for enticing potential investors in and leaving them hungry for more information. The clue is in the name, as your pitch should last no longer than a quick elevator ride. Looking back over the structure of your value proposition is an effective way to start your elevator pitch. A strong elevator pitch should feature aspects of your value proposition, proof of your business model and what you have achieved so far, and finally what kind of investors you are looking for and what you would need from them. Always remember who you are talking to, your elevator pitch will be wasted if the person you are speaking to doesn’t understand what you are saying. For example, if you are speaking a load of developer jargon at someone who is alien to the tech industry, consider simplifying things, and vice versa, don’t over-explain your social media strategy to a digital marketing expert. Your one-pager is a short document that explains your business idea and captures your brand, tone and personality. Its main purpose is to grab the attention of investors when you send an introductory email or message, or if you’re lucky, it’s what you send to an investor after they have heard your elevator pitch and want to hear more. Your one-pager will be the most important and most used piece of fundraising material. It will most likely be the only startup fundraising material an investor will read, before deciding whether or not to take things further. If you want to see results you’ll need to send out as many as possible to potential investors so you can find the right person for your startup. Less is more. Investors are inundated with one-pagers every week, so they won’t waste any time trying to understand what you are saying. Not only will your message need to be clear, but you’ll also need to make sure you cover the most important points without cramming the page full of essay-style text. A great way to do this is with designed visuals and infographic design. Make your one-pager stands out from the rest and consider hiring a designer to help you make your startup fundraising material visually outstanding. This will help you attract investors and make a good first impression because it shows investors that you care about the project and are serious about your venture. Correct grammar and spelling won’t win you extra points, but it will prevent your one-pager getting tossed into the recycle pile. Bad grammar looks sloppy and unprofessional, so it’s a good idea to get a couple of people to proofread your one-pager and triple check it for any spelling mistakes. Make your one-pager easy and convenient to read on mobile devices by preparing it in a mobile-friendly format – so think about layout, font size and the hierarchy of the content. When pitching to investors you will need a pitch deck to support the verbal presentation that you give. The deck should contain minimal information so that the main focus during your pitch is on you and what you are saying. Rather than paragraphs of text, try using bullet points that act as headlines for what you will be talking about in that part of the presentation and expand on these points verbally. This will help investors better follow, understand and remember your pitch. Explain to investors the main problem you are trying to solve, and why a solution to this problem is so important. You should be able to prove this by showing evidence from the research, tests and experiments you have conducted to prove your business model is worth pursuing. Try and focus on just one problem – you want to show investors that you are focused and dedicated to resolving this issue. Explain to the audience how your product is going to solve this problem. Your solution needs to be clear and concise – this is where many startups fail. All too often the explanation of the solution is too complex and long-winded, or it uses industry terminology that the investor doesn’t grasp. Instead, briefly describe what your idea is a sentence and boil it down to its core benefits, focus on the reasons the customer would want to use it – rather than trying to over explain the technology involved. Where you can, show sketches, prototypes, screenshots or the product itself, to help the audience visualise what you are creating. Make sure you outline who you are going to be selling your product or service to, and give the investors a basic idea of the market size. They want to see that you have found a realistic market that is big enough to sell your product to and make a profit. In this part of your pitch deck, it’s important to have facts to back up your claims. Prove to investors how much money they are likely to make by sharing your plans for the future along with your 3-year financial projections. 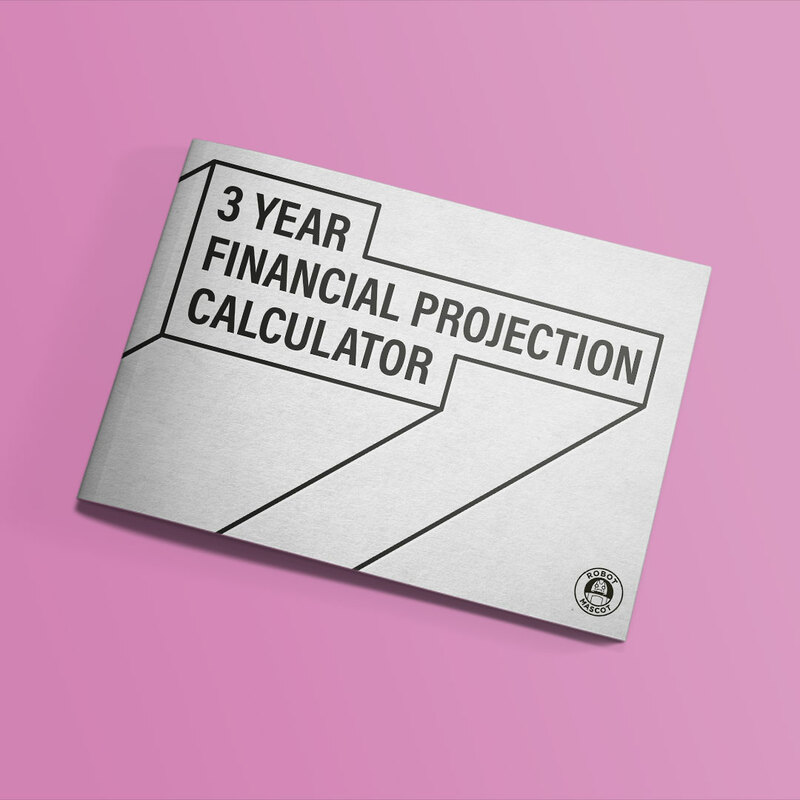 If you need some help with this you can talk to an accountant or try it yourself by downloading our 3 Year Financial Projection Template. These figures will give your investors a rough understanding of your expected business growth and potential outcomes. When you consider this, it’s always better to be on the safe side and over-deliver than it is to over-promise and not hit your targets later down the line. That said, the projections need to look attractive enough to make an investor part with their cash. It’s all about getting the right balance between your ambition and what’s possible in reality. Show evidence of your achievements so far and the progress you have made. Show your investors what you have learnt and how you have improved your startup and made it stronger. The most successful pitches are those where startups show they are progressing well, already earning money and have the potential to make even more money with investment. A lot of investors buy into the team more than they do the idea. If you have a great team and great board investors are going to pay attention. In the early stages of a startup, they know that the idea can change and you may not end up taking to market the concept you started with. However, if you can prove you have a strong, adaptable team with a range of different skill sets they are much more likely to believe that you will make your company a success – and them a return on their investment. An investment prospectus is designed to be a standalone document that an investor can pick up cold and understand your business opportunity without being there to present your idea and answer questions. Rather than bullet points, a prospectus will contain paragraphs of text that comprehensively present the business model and will often contain more detailed diagrams, charts and financials. By the time an investor has finished reading it, they should fully understand your idea, business model, their opportunity to make money and know whether or not they would like to move into investment negotiations with you. An investment prospectus is often used as a leave-behind following a pitch presentation or sent out to investors ahead of the pitch so they come prepared with questions and the intent to consider a deal. They are also commonly used in crowdfunding, as founders are unable to physically present their business to investors. Exactly the same advice applies to an Investment Prospectus as it does a one-pager or a pitch deck. The most important thing here is to remember to still be clear and concise – just because you are creating a longer document with more text, doesn’t mean you need to fall back into old habits of over-explaining your idea. The prospectus will often inform the final stage of your startup fundraising journey, where you will discuss the detailed aspects of your business and talk about possible partnerships and deals. But don’t assume your investors will know how to get in contact with you, and certainly, don’t expect them to make a decision straight away. Make sure you provide your contact details and any references you want to include that show your research is legitimate. We specialise in helping startups perfect their fundraising materials, so they are in a much stronger, and more confident position to secure the vital funds they need to grow. Our pitch services help startups better explain their business idea and construct a pitch deck that informs and excites investors. If you would like a free consultation to discuss your pitch, please get in touch. When starting a business, getting your financial forecast right is key to your success. Investors and banks will want to see realistic projections for at least three years. This will help them justify taking a risk in you and your business and prove to them that you can give a good return on their investment. Making the financial forecast as detailed as possible will reassure them that their money is in safe hands. Use our three-year financial projection calculator to generate your monthly and annual Revenue, Expenditure and Net Profit figures, as well as an annual EBITDA for their first three years of trading.